This post was sponsored by Hill's. I am being compensated for helping spread the word about Hill's® Food, Shelter, and Love program, but Catladyland only shares information we feel is relevant to our readers. Hill's Nutrition, Inc. is not responsible for the content of this article. Even though there's still snow on the ground where I live, spring is on its way (or so the calendar tells us)! When I think of spring, I always imagine lilies popping through the freshly awakened ground, robins happily singing from the bird feeders on my deck, and ... kittens. Yes, spring is also kitten season, and soon shelters will find themselves overwhelmed with babies looking for new homes. Saffy's my son's favorite video-game partner. We adopted Saffy right in the middle of kitten season, almost exactly 13 years ago. She was a cute little gray girl who's grown into quite the lovely lady. She'd bonded to the males in our house. 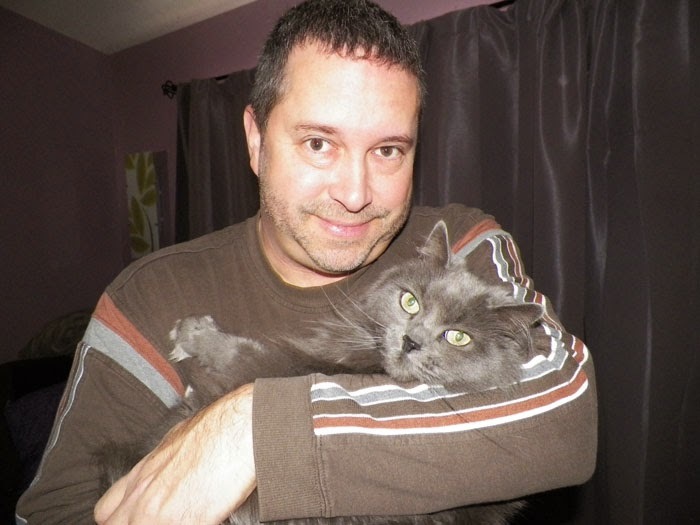 My husband and son are complete putty in her paws! My husband and his baby girl. She came from Animal Humane Society, one of the shelters here in the Minneapolis/St. Paul area. Most every city or town has at least one shelter, and I'm sure they will all be affected by kitten season, and they most likely need assistance of various kinds all through the year. There are lots of ways to support your local shelter -- even kids can help! In fact, involving kids in volunteerism early on means they grow up believing helping animals is the norm ... they just do it. You can help by donating supplies, collecting monetary donations, physically helping at the shelter, assisting with TNR efforts (prevention majorly impacts kitten season) and fostering kittens. 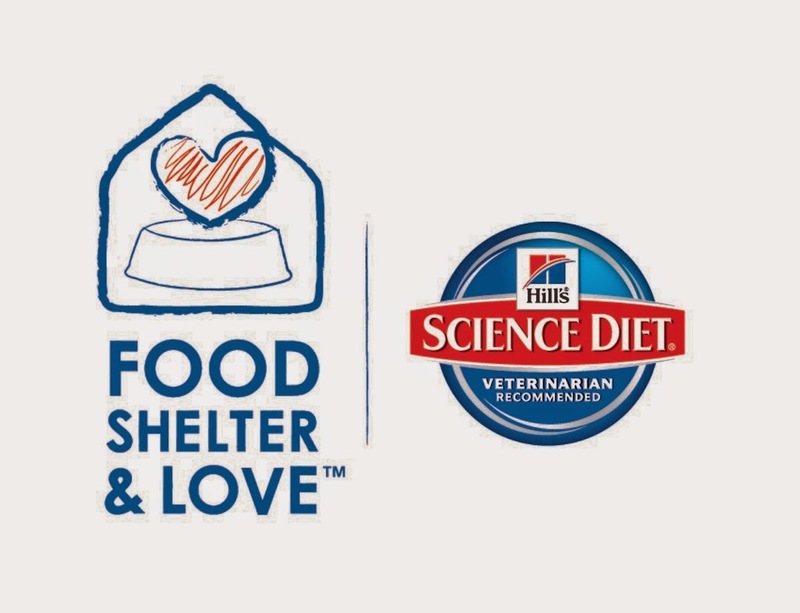 The Hill's® Food, Shelter & Love™ program is passionate about providing proper nutrition to pets in shelters so they can find the best forever homes possible. In fact, they've provided over $240 million worth of food to nearly 1,000 shelters! 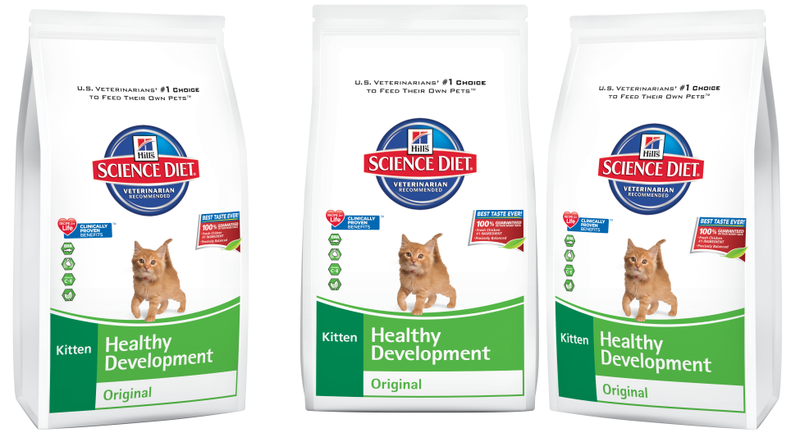 Kitten nutrition is especially important during this season, and Hill's Science Diet Kitten Healthy Development food provides the perfectly balanced, easy-to-digest nutrition these kitties for a strong start in life. Volunteer: Encouraging loving individuals to support their local shelters by caring for and spending time with local shelter pets. Donate: Whether it's cash or toys, local shelters can always use donations. We can help get donors connected directly to your organization. Choose: Helping pet parents everywhere learn more about our shelter program and find out how choosing Science Diet for their own pets can help thousands of shelter pets across the country. Adopt: The ultimate goal of the program is to bring some love home. Everyone deserves a loving home. Everyone.